Operating Era: 1890-1927. Pennsylvania RR, Pennsylvania Lines, Grand Rapids & Indiana. 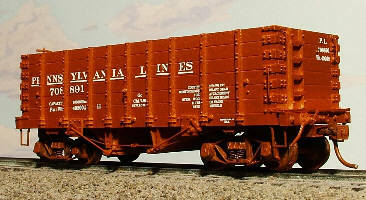 Built between 1895 and 1904 these reefers represent the first PRR standard house car design. Renumbered beginning in 1905 and rebuilt beginning in 1911, they ran into the 1920s.